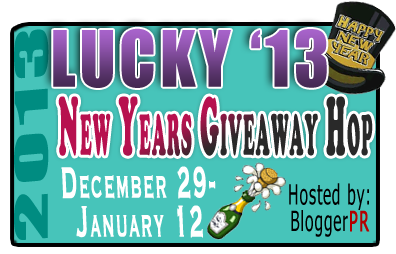 This Giveaway Hop will run from January 1st - January 7th. I am giving away a book published in 2012 called Betrayal by Robin Lee Hatcher. I was very lucky to be able to review this and I loved it! Actually who doesn't love a big, strong cowboy? I have started in my all of my book giveaways, because we are starting a new year, a book to use as a journal to be able to list all of the books you have read this year and if you enjoyed them. Please don't forget to enter all of the other giveaways in this giveaway hop especially Mommy's little sister at http://dealsharingaunt.blogspot.com . Good luck to all and Happy New Year! I am giving away one of the most wonderful books that I have ever reviewed. The book is called Brush of Angel's Wings by author Ruth Reid. This book was published in 2012 and is the first in the series called A Heaven on Earth Novel. I will also include a book to be used as a journal where you will be able to list the books you have read and also write a short blurb about the book and how you rated it. This is a good way to find out what kinds of books and which author you enjoy the most. I never really made a list before of books I have read but I intend to this year. 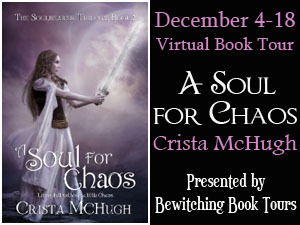 Don't forget to enter all of the other giveaways in this Blog Hop. Especially do not forget to enter Mommy's little sister's giveaway at http://dealsharingaunt.blogspot.com Good Luck and Happy Reading !! What makes a Grandmother get all choked up? Well, this Grandmother got choked up and teary eyed when Bobo and Sissy both read us stories yesterday. We gave them each a book that they had never seen before and they both were able to read and sound out most of the words. Not bad for kids that are homeschooled (ages 6 & 7). Bobo was in school for a short while until we realized that we could do better. They have learned more in a few short months than they ever would have done in school. Yes, sometimes we have days where they just don't feel like doing their lessons the usual way, so through the beauty of homeschooling we can change our schedule at a moments notice or just do the lesson another way. Right before Christmas the kids made little gift baskets, coffee cups, tea bags, chocolate and more, and Mommy and Daddy took them to the neighbors. Just because they are homeschooled doesn't mean they cannot do things for their neighbors. It also taught them how giving gifts are sometimes better than getting gifts. Their neighbor's children are all grown up and they were really pleased to see the kids. They talked about what they did all evening. I was so so proud. Disclosure: I am responsible for this giveaway. It was just a few short weeks ago when my doorbell rang and the UPS man put a huge box on my steps. I couldn't wait to open it ! I was so excited when I saw what that this box contained, it was a an Esio Hot & Cold Beverage System. From the moment we added the water and plugged it in we were in love. We were all able to get the drink we wanted without any wait. You are able to go from a hot to cold beverage in the blink of an eye! This machine is easy for anyone to use. All you have to do is add the water in the top reservoir, plug it in and turn it on. The first time it takes a few minutes to heat and cool the water. I was also some pouches to try out the different drinks. It was so refreshing to be able to have an ice cold drink without going to get ice from the freezer. It was wonderful to get hot coffee or other drinks without wanting for the stove or microwave to heat the water. I was not afraid to let older children use the machine because in order to get hot water there are 2 buttons to push, not just one, which you do when you want the cold water for a cold drink. The people that were invited to our party could not get enough of the different drinks. They kept comparing the drinks and talking about them. One other great features is that you can make your drinks as large or small that you want. I will be posting pictures as soon as possible. This machine is available at Walmart and Esio.com as well as the drop in and drink pouches. The pouches are able to be switched in seconds. Each pouch contains about 20 drinks and they are self-sealing and need no refrigeration. If you want plain hot water or cold water you can also get that without any wait. This machine and a lot of different flavors to try were sent to me for the purpose of a review by Mom Select and Esio Hot & Cold Beverage Systems. I was not sent any other compensation for my review. All of the opinions are my own. It's time to share the best books you have read this year. 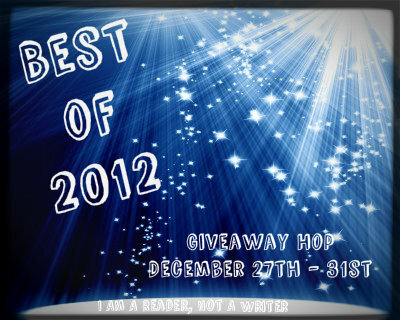 The Best of 2012 Giveaway Hop wraps up a year of giveaway hops by featuring each blog's favorite reads. 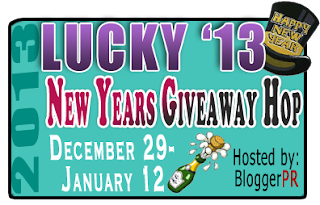 Giveaway will feature favorite books of 2012. These can be books that were published in 2012 or books that were read in 2012. Hosted by I am a reader, not a writer! to bring you some cheer and prizes. I am giving away an after Christmas destressing gift pack. Think warm beverage, a candle and curling up to a current romance book. for more great prize giveaways! Tomorrow is Christmas Eve. Bo and Sissy are very excited. This year because they are home schooled Mommy and I decided that they should do something nice for some of their neighbors as a school project. If they were in school they would be making crafts so Auntie Lala , Mommy, Auntie Icky, and Nana helped them make baskets for some of their neighbors with coffee cups, teas, chocolate, and more. They will deliver them tomorrow. Auntie Lala and Auntie Icky are always thinking of crafts for Bobo and Sissy to do that coincide with the holiday. Auntie Lala and Auntie Icky helped Bobo and Sissy make picture frames out of Popsicle sticks. They glued the pieces together in a square and then made a triangle shape on the top to look like a house. Then they poured different kinds of sparkles on them. The last part was when they put pictures of the kids inside and made an ornament out of them. Bobo and Sissy loved them. I remember when I was in school the teacher bought in a box of small round ornaments, one for each child. Then she had us each take a copy of our school picture, ( not sure how she was able to get them) and take a cotton ball, put it in glue, attach it to the back of the picture which we then secured to the ornament. I think that my parents still have this. I was upset when I was the room mother in my children's room at school and we were not allowed to make decorations. All children need to learn how to be creative. This is just another reason why we are glad Mommy is Home Schooling Bobo and Sissy. When you are homeschooled you are free to express your own beliefs, family traditions and more. This is our third Christmas without Poppie. For the last two I have been staying the night so that I will see Bobo's and Sissy's faces when they come down on Christmas morning. Then my sister wakes us up. (if we are not already up) at about 7:00 am with hot coffee and hot chocolate. On Christmas Eve Nana's Mommy is making lasagna. This is always a great meal to have when everyone is to tied to cook all day for 2 days straight. You can make it ahead, put it in the refrigerator and cook it later in the day. In the meantime all the dishes can be washed and put away. It is a great timesaver and it is also more relaxing for the cook. We have decided, Mommy and I, to make a turkey breast, a ham and a roast in the crockpot. Mommy had a reaction to ham, some hate turkey, and or roast so everyone will have a choice of 3 or all 3. We hope it will be easy this year. Everytime I look at Bobo and Sissy I am reminded how lucky we really are. I will be giving away a box of hot chocolate and 2 2012 large trade paperbacks. 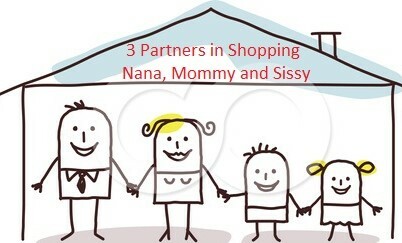 Don't forget to check out the other giveaways and my daughter's over at www.dealsharingaunt.blogspot.com ! Torin Kane might be a fictional character, but there was nothing imaginary about the way she felt in his strong arms, the way his touch made her body sing, and the way his dark gaze seemed to reach right through her eyes and into her soul. Somehow, destiny had brought the dark warrior, the man of her dreams to life. And Bailey knew at that moment, that without Torin, her own life would be nothing more than a blank page. I thought that this book was a lot of fun to read. Imagine that you are a vampire romance writer like Bailey Hamilton and your imaginary Hero comes to life! That is what happens to Bailey, and she is afraid, excited and wants to keep him in her life. She cannot lose him after the way he makes her feel. Although this is a vampire romance Hero that she has imagined, he is very real and he wants to find love after all he has been through in Bailey's books. This book to me was a mix of imagination, romance, horror, and some humor. It also reminded me of some time travel books I have read. I really loved this book by this wonderful author.I was given this book to read and review by being part of Bewitching Books Tours. All opinions are my own. Peg Pierson is a full-fledged Fang Fanatic and slightly deranged Halloween Enthusiast, with a closet full of plywood coffins, an assortment of plastic dismembered body parts, and of course…skeletons. 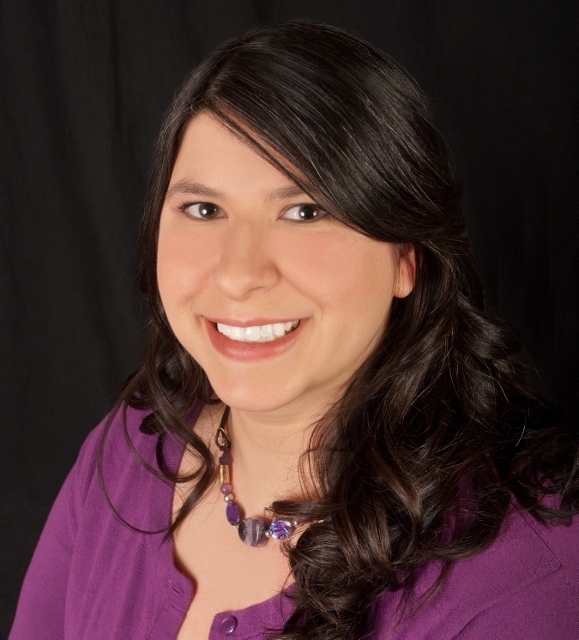 Currently, she lives in Minnesota and is busily typing away on a new paranormal comedy. Along with vampires, she loves her family, pecan kringle, and a good laugh. I was given this e book by Tomoson for an honest review. This book seems to come at an appropriate time. There are many parents weighing the options of whether or not to Home School their children, and for a lot of different reasons they are afraid to and this book answers some of those questions. Some parents are afraid of failure, but couldn't there be a failure in school? Some parents are afraid to try a curriculum or have no idea where to start. These questions are addressed. There is also a part where she speaks to the child who is sitting down and actually being taught at home. She shares a no nonsence approach to something that could be hard for some to understand. Even if someone is just toying with the idea of homeschooling this is a book that should by at the top of your must reading list. Many thanks to Tomoson for this great book to review. I received one or more of the products mentioned above for free using Tomoson.com. Regardless, I only recommend products or services I use personally and believe will be good for my readers. What Can We Do To Try to Stop the Violence ? I have been watching the television all weekend. I am unable to shut it off or to change channels. It probably wouldn't matter anyway, it is on every channel. On Friday morning we took the kids to the Dollar Tree store in our town to do their Christmas shopping for Mommy and Daddy and each other, their God Parents and me, Nana. It was so heartwarming to be able to see them get their own carriage and then go around the corner to hide from each other. They were able to get some really cute things for just a dollar each, then they paid the clerk. While we were shopping the other shoppers kept watching them shop, and talk about what they wanted to buy. They were very careful to keep their presents from each other while they were in the line. Bobo even bought special Disney Princess paper to wrap Sissy's gifts and Sissy got Mickey Mouse for Bobo's presents. Then as part of our shopping trip we went to eat breakfast/lunch at Dennys Restaurant where they ordered their own food and continued to talk about what they had bought. While we were there one of the waitresses started to talk about what happened in Connecticut. We all looked at each other and at the kids. We were so thankful that they were safe with us. I know if they had been in school, any school we would have went to get them and keep them with us for the rest of the day. I really do not think that we could even send them on Monday morning. I am so sorry and my heart aches for the victims and their families. The violence against our beautiful children is getting worse. No one really knows the answer, but we really need to work together to prevent this from happening again. I do not think that any parent or grandparent will ever forget Friday. Just because some children are homeschooled we should still work with our elected leaders to stop this from ever happening again. So to answer my question, we all need to work together to try to solve this. After all, all children are all of our children. 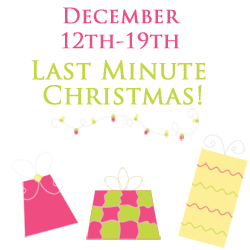 Welcome to the Last Minute Christmas Giveaway Event!Brought to you by Super Events Media & Social Marketing Mom! This event runs from 12:01am December 12th till 11:59pm on December 19th.At the bottom of this post you will find links to all of the participating blogs where you can enter to wina fun Christmas related prize with a value over $25! This super cool giveaway is hosted by Full Price? Never! & My Crafty Life! 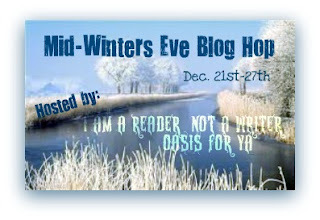 Don’t forget to stop by these other awesome blogs & enter to win their great prizes too! When did you first begin to realize that you wanted to be a writer? The summer I became 10 years-old I came down with pneumonia. I was a very active kid and my mother was looking for an activity to keep me occupied while I spent my summer indoors. She knew I enjoyed entertaining friends and family with stories I made up. She suggested I write some of them down. And then she said the magic words: “You can make money doing it.” That was all it took. I became a writer that summer, and after a while I didn’t care about the money… which was a good thing. LOL. Do you like writing novels better than writing for television? I get satisfaction out of both. Writing novels gives me a special satisfaction because I get to spend more time with my characters. With TV writing I get the satisfaction of seeing my work on TV. Do you have a special place where you like to read? Lately I’ve been doing most of my reading in bed at night. Usually, however, I can read just about anywhere. A few weeks ago we went to a movie and got there half an hour early. I pulled out my iphone with the Kindle app and started reading. You gotta love technology. What was the first time you had something published? I was first published a long time ago in college. I had some poems accepted into a college magazine. The best part of it was I didn’t submit the poems, a friend of mine did, so I had no clue about being in the magazine. When people started congratulating me for being published I had no idea what they were talking about. I got my hands on the magazine; what an awesome surprise. Unfortunately, it was many, many years after that I first published a piece of fiction. Do you also write for adults? 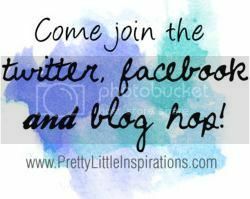 Do you have your own blog? I began my career writing horror novels under the pseudonym Sal Conte. I wrote a very popular novel, Child’s Play back in the 80s and followed with another fairly popular novel, The Power. Sal is planning a big comeback. He has a page on my website: Sal Conte's Page. Yes, I have a blog. You can access my blog through my website. http://evanlowe.com You’ll see my blog listed in the pull-down menu. Can you give others who want to write a small piece of advice? The most important thing any would-be writer needs to do is complete several pieces of work. You can’t be a writer without a body of work. So try and finish everything you start. No one finishes everything, but I find many would-be writers don’t finish anything. Finish it—even if it stinks—finish it! My review; this is the third book in this series about Megan Barnett who is 15 years old and is best friends with her mom Suze, who is a single parent. They are very close and share a bond together . In the previous book in this saga, Earth Angel, Megan is given a riddle in which she must find a message which has been hidden in the riddle. She has very little time to solve it as Satanists are forming a plan to make Megan find herself, living in hell and losing the person who is most important to her. They and others will stop at nothing to help Satan win. This is a fantastic book in the continuation of the first two in this saga. You should read all three, both they also stand on their own as books that are captivating as well as fun to read. I loved the whole saga by this great author. Boyfriend From Hell Book One, Earth Angel Book Two, and now Heaven Sent. I love to read short stories. Especially true stories about real people and their seemingly ordinary lives. I started to read this book and I was truly inspired and filled with wonder about it all. How could someone survive something that is unexplainable? How could someone survive something that should have killed them? How does a life threatening disease somehow disappear? People often might say to each other that they have heard about things like these happening. You probably would just think about it for a moment and then move on. But, this book is about this happening to many people, different ages, different lives, different backgrounds. I could not wait to devour each story of hope, love and endurance. Anyone who needs a little encouragement, a little love and a little hope should read this book. I am so much better for having read this. I was given this book for the purpose of a review by Chosen Books, Bethany House Publishers. All opinions are my own. I recommend this book to all. 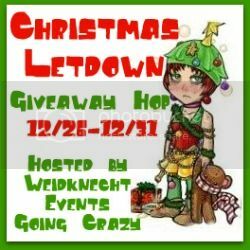 Hoppin' for the Holidays Giveaway Hop! 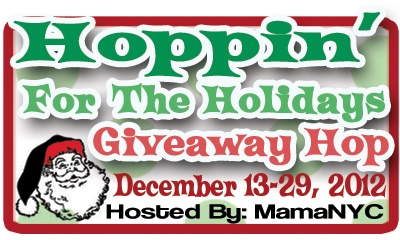 Welcome to the Hoppin’ For The Holidays Giveaway Hop hosted by MamaNYC! Christmas is fast approaching and we’re all starting to think about holiday gifts, decorating, and snuggling up under the mistletoe. We’ve all gathered together to bring our readers some amazing prizes that would surely make fantastic holiday gifts this year, so start hopping down the linky below! This event will run from December 13-29th, which means you will have plenty of time to enter all of our giveaways. Good Luck & Happy Holidays! Good Luck! PYTHON PRINTABLE CHRISTMAS BUNDLE REVIEW! We were given the opportunity by TOMOSON to review the Python Printable Christmas bundle of games. When they say bundle they mean it. This is over 60 printable games with many different themes like, trivia games, crosswords, and more. You can download all of these and once they are you can keep them forever to use over and over. These are great designs, and there are different ones for all different age groups and group sizes. They also come with the answers so that you don't have to worry about figuring out who's right or wrong. This bundle sells for $19.95 for over 60 games. If you cannot find one out of all of these then I would be shocked. Everyone I showed this to got all excited and they were instantly deciding which ones they wanted, to try. But, they don't stop at just Christmas printable games. They have printable game bundles for all different occasions and holidays. These are all in PDF format. We found this website to be fantastic especially since Mommy is homeschooling Bobo and Sissy. It is a great site to get a lot of different games. This is Book 2 in the Trilogy "A Soulbearer's Trilogy" . We are continuing to learn more about Arden Soulbearer, who is also nicknamed Trouble, and whose body has been possessed by The God of Chaos, Loku. Luku has had to possess a mortal or his soul will also be lost. Arden is a witch who is not trained in how to use her powers yet, but Loku has decided he wants to stay in her body. Dev who is Arden's protector has taken her to Gravaria, which is suppossed to be a safe place for her to start her training. She has come to be torn between 2 men, Prince Kell. who has joined her and Dev as well. Dev has started to have feelings for her, but also has a duty to protect her. This book keeps you guessing on more than one thing. Who will Arden pick of the 2 men that she is torn between who both love her? Who are the ones that are trying to destroy Arden? Once you begin this trilogy you are hooked. It is full of action and mystery. There is also the decisions Arden has to make about love in her future. 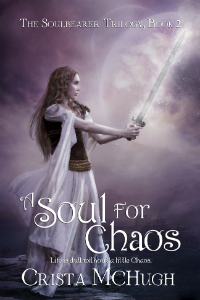 I cannot wait to read Book 3 in the Trilogy called "A Soul for Vengeance", which will come out next year. I give this book 5 stars. All opinions are my own. For the grandprize they will be giving away A Kindle Paperwhite, A Nook Glow, and a $90 choice giftcard for either amazon or barnes and noble. Both Tablets will come with a book bundle!! I will be giving away a Christmas wrappers dream pack! When I was given the opportunity to review Betrayal by Robin Lee Hatcher I was very excited. I know that I have said before, but I really love cowboys. This is a novel of 2 hearts that find each other but, who each have a past that have suffered betrayal in the past. Hugh Brennan is a drifter who has been betrayed and is afraid to get close to anyone one again. Julia Grace finds herself with a hard decision to make. Because her husband died a few months ago, his half-brother has made it known that he is going to try to take her reach from her. Even though is really is hers, she fears that in order to keep her ranch she may have to indeed get remarried. When they meet and spend time with each other Hugh starts to find out that he has started to feel an attraction to her. He knows that they are both afraid to get hurt again, he cannot stop himself. This is the story of a beautiful love that takes place around the turn of the twentieth century. A reader finds themselves routing for Julia and Hugh to find each other and to trust in God's love even while facing things that seem to be beyond their control. They have to overcome many obstacles along the way and they have to learn to trust in God's love even at the most difficult of times. The book takes place around the turn of the twentieth century in the high desert of Wyoming. I was given this book for the purpose of a review by Zondervan Publishing through their booksneeze program. I was given no other compensation and all opinions are my own. We are having a lot of fun learning all about homeschooling from other homeschoolers who share their thoughts and their successes as well as their not so great adventures. One of the best things that we as homeschoolers have going for us is that there are many more parents and caregivers realizing that this is really the best thing that they could do for their children, and we are able to share with each other. Yes, it takes commitment, yes it takes time, but, there are rewards everyday. Anyone who homeschools know that their children will be able to work at their own pace and learn in the way that it best for them. The other day I had to go to the dentist for an emergency root canal. I used to have to work with Mommy to make sure that she would be able to pick up the kids. This was not the case this time. Mommy had to go somewhere a different day, and she made an appointment without a big shake up in the house. We are flexible and we are not tied in to someone else's schedule. We have become a family that is flexible and spontaneous. Mommy, Daddy, Bobo, and Sissy are able to have their kind of Christmas not what someone else wants them to have. Many years ago Poppie worked at an elementary school. where he used to dress up as Santa and when the kids were leaving for the school break he would give out lollipops that we had bought. There were a few that did not object to the lollipops, they objected to having a Santa. They objected to anything that talked about Christmas in any way. I am upset when schools around us are in session on Veteran's Day. It is getting out of control. When a school district does not believe in honoring our Veterans then I am glad that Bobo and Sissy are not in school. The really crazy thing though, is that the curriculum talks about citizenship. I always thought that citizenship is part of caring about your country. It seems that every time we are out and people hear the kids reading and talking about the menus , the prices and more, they almost always ask them what grade they are in. They started to recite what they have learned so far about the solar system. We even had 2 ladies the other day say that they probably knew more than they did. It was a huge compliment! We were very proud and talked with the kids about how we were very proud of them. We are now working on the solar system, subtracting, addition and reading, Sissy has been reading for over a year and she is only 5 years old. Bobo is better in math than Sissy but as I have said they are learning at their own pace. It is important that others look into this because it is really a wonderful thing to do for your child. As I started to read this book I began to think about my own dogs and how much I loved them. I read about how this wonderful young man wanted to do all he could to save as many animals as possible because he loved them, too! This is a story about a young man named Todd who works for a local animal shelter. Todd is a young man with a disability but he has not allowed it to keep him from achieving his dreams. Todd meets a young volunteer named Laura and they become best friends. She also has some disabilities in her life to overcome. Todd has a wonderful companion, his dog named Christmas who is a Labrador retriever. Todd and Christmas train a dog named Gracie to help Laura with her everyday tasks. Todd's boss explains to him that because of the lack of funding the shelter has to close it's doors and he has to finds homes for all of the dogs in the shelter. While he is trying to do all of that he then has to find a new job. And to top it all off Laura's friendship and his is beginning to be more romantic than friendship only. As I was reading this about a dog named Christmas I thought about one of my dogs named Ramona, a Shih Tzu who had a stroke on Christmas evening a few years ago, and how much I love and miss her. This is a story of family love, wonderful friends to help and a dog named Christmas. I love the way that this book shows that people with disabilities are able to overcome many obstacles with the help of others. I love how dogs in this story are made heroes because of their love and caring for their disabled owners. It is a story that will make you happy and makes you also realize in your own life that all people are the same whether disabled or not. This story is a lesson for all of us. If you would like to read more about this wonderful author you can do so at http://www.gregkincaid.com . I was given this book to review by Waterbrook Multnomah Publishing Group, http://waternomah.com , for the purpose of a review by their Blogging For Books Program. I received no other compensation and all opinions are my own.